Are you or maybe someone you know into off roading, and 4x4's? Specifically Jeeps? 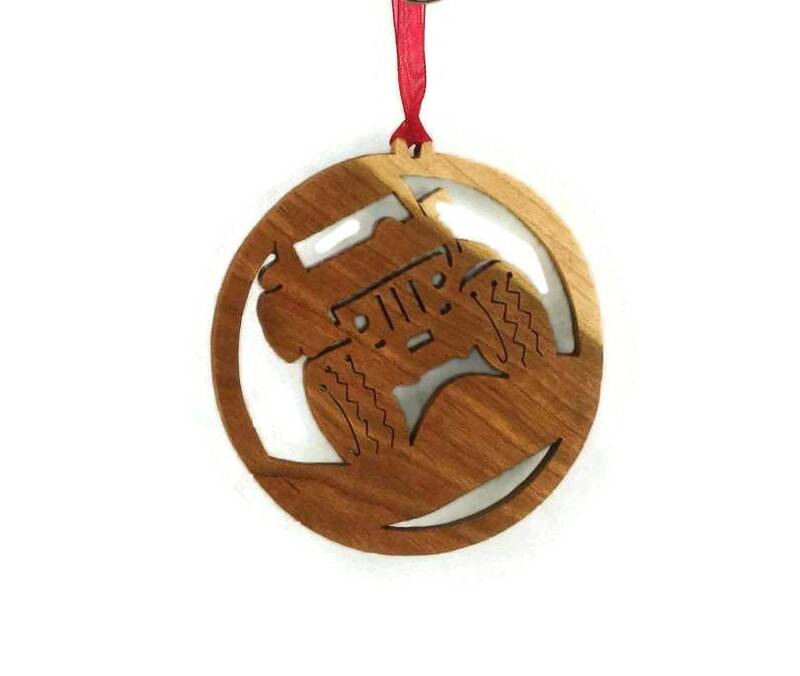 This wooden off road Jeep Christmas ornament would be the perfect gift to get for yourself or a friend that will sure spark up some off roading or Jeep stories at the family / friends Christmas gathering. 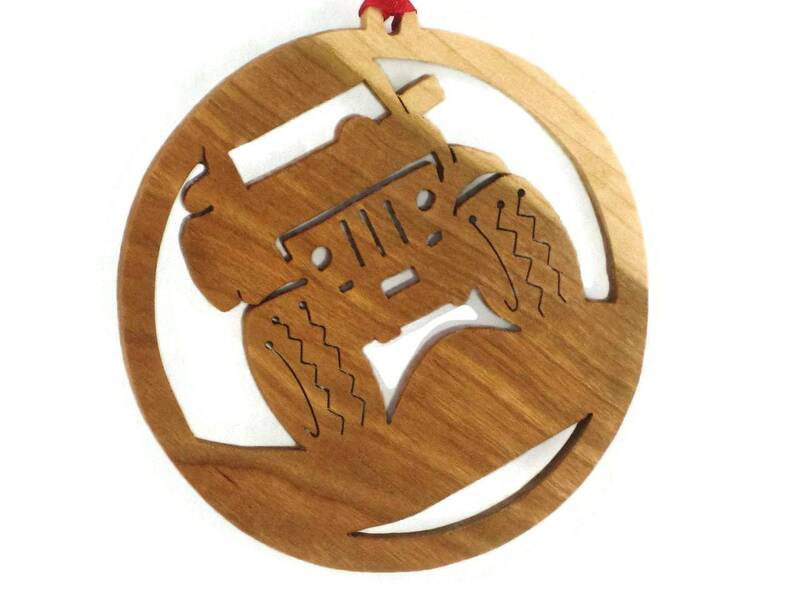 This Jeep Christmas ornament was cut out of cherry wood by hand ( handmade ) using a scroll saw. 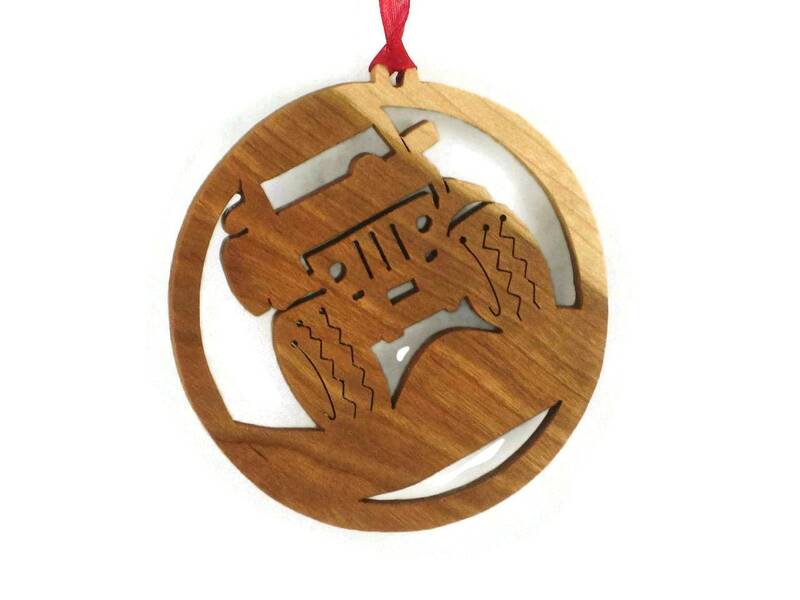 This Jeep ornament features a front right view of a Jeep getting ready to climb a hill. A homemade finish of all natural bees wax and mineral oil mixture was applied to bring out the natural beauty of the wood as well as to protect its natural beauty for many years of enjoyment. A various colored fabric ribbon was attached for ease of hanging this on your Christmas tree. NOTE: Photos are of stock item.. Item you receive may have slight color and wood grain differences as well as ribbon colors. 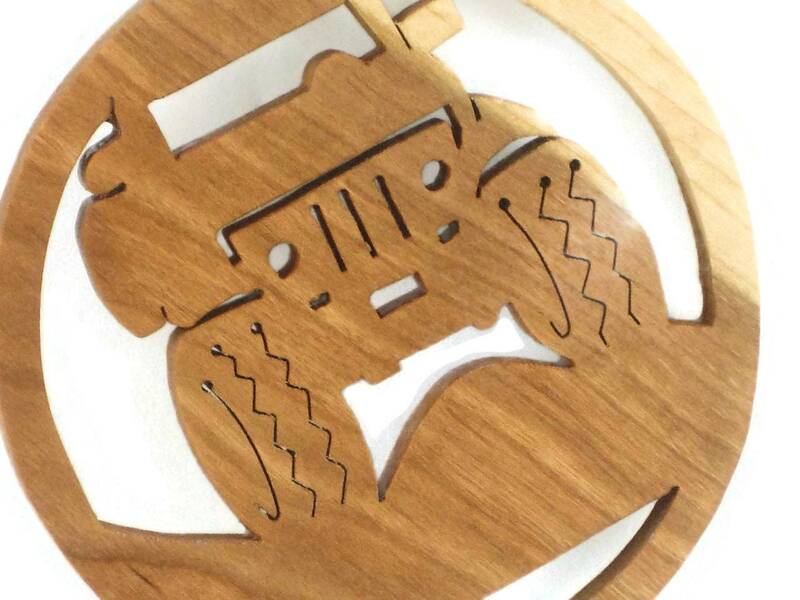 My husband loved his off-road Jeep ornament and couldn't believe how intricately it was carved! 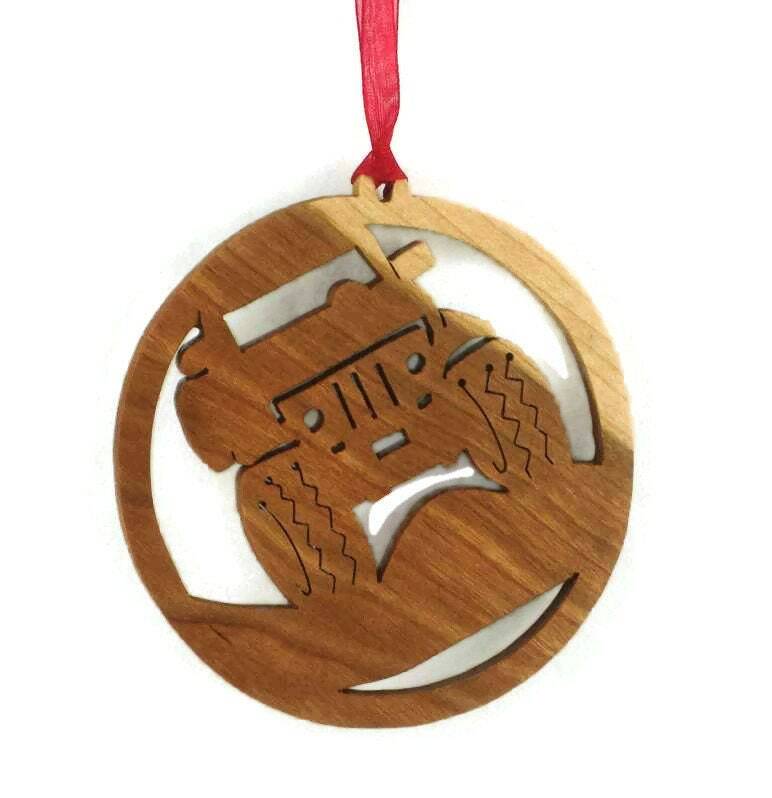 Could not believe I could find an ornament about rock crawling. Ordered this item and was pleased with the craftsmanship. Exactly what I was looking for. Excellent quality product. Speedy and friendly service. Looks just like the picture. Arrived on time, thank you! Beautiful piece of art. Thank you!